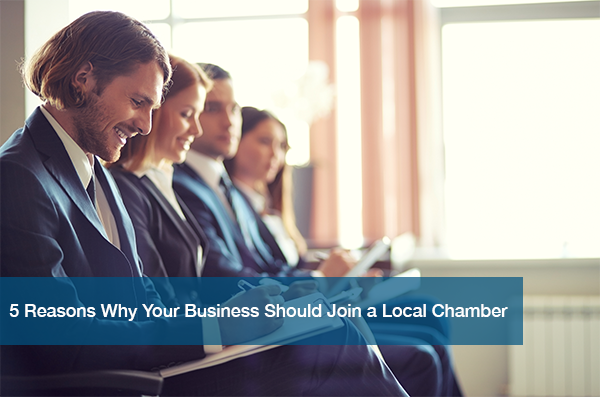 Joining a local chamber may seem like an ancient concept at first. Yet, it still remains one of the best ways to network with other business owners in your community. The more in tune you are with your local community, the better off your business will be. It’s true! Research shows consumers admire small businesses involved with a local chamber. Additionally, they are more likely to buy goods and services from that business in the future. There are many different types of chambers you may have access to. In Austin, Texas, there are chambers based off ethnicity, gender and sexuality, and more. This allows you to network and promote your business with and for people just like you! Here at ITC, we place a high value on Chamber involvement. We firsthand have seen the benefits of a chamber membership. This is why we’re a member of several different chambers in the region! If you aren’t already a member of your local chamber, here’s some reasons why your business would benefit from joining today. Networking is an important element to your business success. But in the end, it doesn’t matter how many business cards you can collect. What matters is the quality of relationships you can develop with other members. All Chambers are going to offer either weekly or monthly events you can attend as a member. To get the most out of your membership, take advantage of as many opportunities as you can. This way, you can make valuable connections that will benefit your business. With making new connections comes references. In a chamber, you cast your business into a net wider than you can imagine. Important people know other important people, and you want your business to be in the know with as many as you can. This is why making meaningful connections with your fellow members gives you an advantage. They’ll trust your business and feel comfortable recommending you out to others they know who need your services. Maybe not completely free- you have to pay for Chamber of Commerce memberships. But, with your membership you get easy marketing opportunities. For example, many chambers publish newsletters or other materials for members and the community. Additionally, chambers allow businesses to be a part of their online directory. Also, businesses can place ad banners on their website (this depends on membership level). This gets your brand exposure, allowing for more business opportunities to come your way. When you’re an active member of a chamber, you get to meet some of the top professionals in your region. Keyword- active. The more events you attend and committees you join, the better. This allows you to increase your visibility and talk business in a non-threatening environment. This way, you’re at the top of people’s minds when they think of your service or product if needed. As a local business owner, it’s important that you stay connected your community. Chambers give you the opportunity to do just that. They offer countless volunteer opportunities for members so they can get involved. Many chambers even put together meetings about recent legislatures or issues that could effect the region. Regardless of the size of your business, it’s always important to remember to serve those closest to you. In the end, the whole point of a Chamber of commerce is to protect and promote local business. So, why wouldn’t you want to be a part of that? At ITC, we have found that chamber memberships are beneficial investments for the future. We are always proud to show our support for chambers in the Austin area. Additionally, we’re excited to announce we recently joined both the Cedar Park and Hispanic Chambers! ITC looks forward to becoming an active member of both soon.